Once upon a time long, long ago in college basketball, there was a pretty uniform look to recruiting: junior college prospects to fill instant needs, freshmen for “program players.” There was also, with the enrollment of each recruiting class, a sense of plotting toward a grail. “When these guys are seniors …” a coach might tell his staff, allowing the possibilities to sink in. Freshmen – Ryan Edwards, Luke Meikle. That’s it. Those were the scholarship players who entered GU in the fall of 2013. Wiltjer, of course, had just two years of eligibility after playing at Kentucky and made the most of them, leading the Zags to the Elite Eight in 2015. Edwards never evolved much beyond practice placeholder, and logged just 44 seconds in the 2017 NCAAs. Meikle transferred after just one season to Cal Poly. In other words, direct impact on the 2017 magic could be measured only in trace amounts. The fall 2012 class brought Przemek Karnowski (whose back injury resulted in a fifth) and 2014 produced a bounty, though only Josh Perkins and Silas Melson were in the Final Four team’s rotation. It goes to show that there are a lot of ways to build a champion now – except maybe at Kentucky, where it’s one-and-done or bust. It also suggests that it’s incumbent upon a program like Gonzaga to finesse the delicate balance between the four-year player and NBA early entry talents which have now become a regular reality. Not that who the Zags pursue has changed. 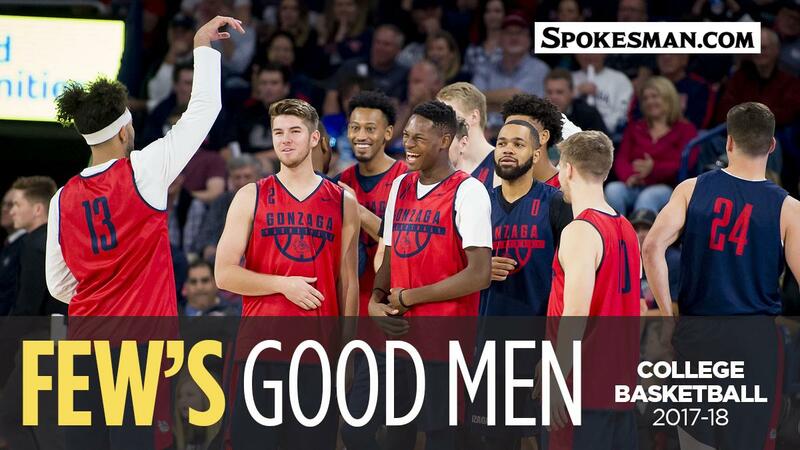 In the last five years, the Zags have seen four players leave early for professional opportunities – though, in typical Gonzaga fashion, never in the same circumstances. Three of those have come in the past 19 months. Imagine a 2018 Gonzaga team that included seniors Domantas Sabonis and Nigel Williams-Goss and sophomore Zach Collins. Which would seem to put more importance than ever on hitting for high average on players who will exhaust their four years of eligibility in the program. And it does – to a point. “They’re important – they really stabilize your program when you do have to absorb a couple of guys going early,” Lloyd acknowledged. “Continuity is really important, for sure. And they don’t always end with a player jumping early to the NBA. The fact is, a few players regarded among the most prominent “program guys” – bedrock, four-year contributors – mulled going pro early. Jeremy Pargo and Ronny Turiaf come to mind in particular; both would play in the NBA regardless. “So sometimes there’s no defining moment or dividing line,” Lloyd said. And it’s certainly fair to say that early entries like Sabonis and Williams-Goss – and Kelly Olynyk and Adam Morrison before them – were very much program players, too, regardless of the length of their stays. Certainly the Zags staff was aware that Sabonis and Collins were going to attract NBA notice quickly, though Collins becoming the school’s first one-and-done without ever starting a game added a twist. Williams-Goss and Olynyk leaving after midcareer redshirts was unorthodox, but precipitated by outstanding junior years. But it helps to be prepared – or have flexibility. And being happy with the roster on hand speaks to the level of a program’s recruiting across the board. The makeup of the 2017 Zags was evidence enough – from a fifth-year institution like Karnowski to an August arrival like Jordan Matthews, with early NBA picks and those continuity contributors in between. Something that, at Gonzaga, never changes.